Sometime good things happen in War…. The 21-year old American B-17 pilot glanced outside his cockpit and froze. He blinked hard and looked again, hoping it was just a mirage. But his co-pilot stared at the same horrible vision. “My God, this is a nightmare,” the co-pilot said. “He’s going to destroy us,” the pilot agreed. But when Brown and his co-pilot, Spencer “Pinky” Luke, looked at the fighter pilot again, something odd happened. The German didn’t pull the trigger. He stared back at the bomber in amazement and respect. Instead of pressing the attack, he nodded at Brown and saluted. What happened next was one of the most remarkable acts of chivalry recorded during World War Il. Stigler pressed his hand over the rosary he kept in his flight jacket. He eased his index finger off the trigger. He couldn’t shoot. It would be murder. Stigler wasn’t just motivated by vengeance that day. He also lived by a code. He could trace his family’s ancestry to knights in 16th century Europe. He had once studied to be a priest. A German pilot who spared the enemy, though, risked death in Nazi Germany. If someone reported him, he would be executed. Alone with the crippled bomber, Stigler changed his mission. He nodded at the American pilot and began flying in formation so German anti-aircraft gunners on the ground wouldn’t shoot down the slow-moving bomber. (The Luftwaffe had B-17s of its own, shot down and rebuilt for secret missions and training.) Stigler escorted the bomber over the North Sea and took one last look at the American pilot. Then he saluted him, peeled his fighter away and returned to Germany . “Good luck,” Stigler said to himself. “You’re in God’s hands now…” Franz Stigler didn’t think the big B-17 could make it back to England and wondered for years what happened to the American pilot and crew he encountered in combat. As he watched the German fighter peel away that December day, 2nd Lt. Charles Brown wasn’t thinking of the philosophical connection between enemies. He was thinking of survival. He flew his crippled plane, filled with wounded, back to his base in England and landed with one of four engines knocked out, one failing and barely any fuel left. After his bomber came to a stop, he leaned back in his chair and put a hand over a pocket Bible he kept in his flight jacket. Then he sat in silence. 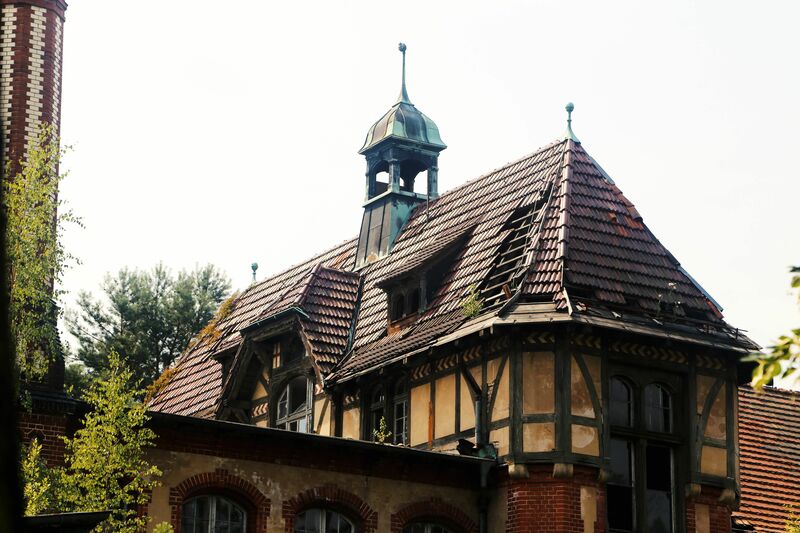 Late in life, though, the encounter with the German pilot began to gnaw at him. 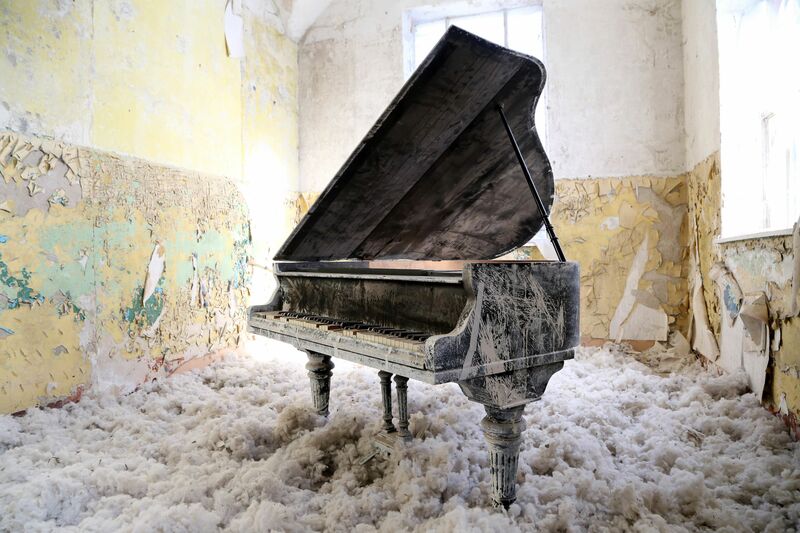 He started having nightmares, but in his dream there would be no act of mercy. He would awaken just before his bomber crashed. Brown took on a new mission. He had to find that German pilot. Who was he? Why did he save my life? He scoured military archives in the U.S. and England. He attended a pilots’ reunion and shared his story. He finally placed an ad in a German newsletter for former Luftwaffe pilots, retelling the story and asking if anyone knew the pilot. directory assistance for Vancouver and asked whether there was a number for a Franz Stigler. He dialed the number, and Stigler picked up. “My God, it’s you!” Brown shouted as tears ran down his cheeks. record the summer reunion. Both men looked like retired businessmen: they were plump, sporting neat ties and formal shirts. They fell into each other’ arms and wept and laughed. They talked about their encounter in a light, jovial tone. They met as enemies but Franz Stigler, on left, and Charles Brown, ended up as fishing buddies. Brown’s daughter says her father would worry about Stigler’s health and constantly check in on him. Charles Brown had written a letter of thanks to Franz Stigler, but one day, he showed the extent of his gratitude. He organized a reunion of his surviving crew members, along with their extended families. He invited Stigler as a guest of honor. During the reunion, a video was played showing all the faces of the people that now lived — children, grandchildren, relatives — because of Stigler’s act of chivalry. Stigler watched the film from his seat of honor. “Everybody was crying, not just him” Dawn Warner says. After Stigler died, Dawn Warner was searching through her fathers’ library when she came across a book on German fighter jets. Stigler had given the book to Brown. Both were country boys who loved to read about planes. destruction, a plane so badly damaged it was a wonder that she was still flying. Forbidden Photos Reveal What Life In Hawaii Was Like After Pearl Harbor…. It’s no secret that the Dec. 7, 1941, attack on Pearl Harbor, which killed more than 2,000 Americans, changed the course of history for the United States and the rest of the world. 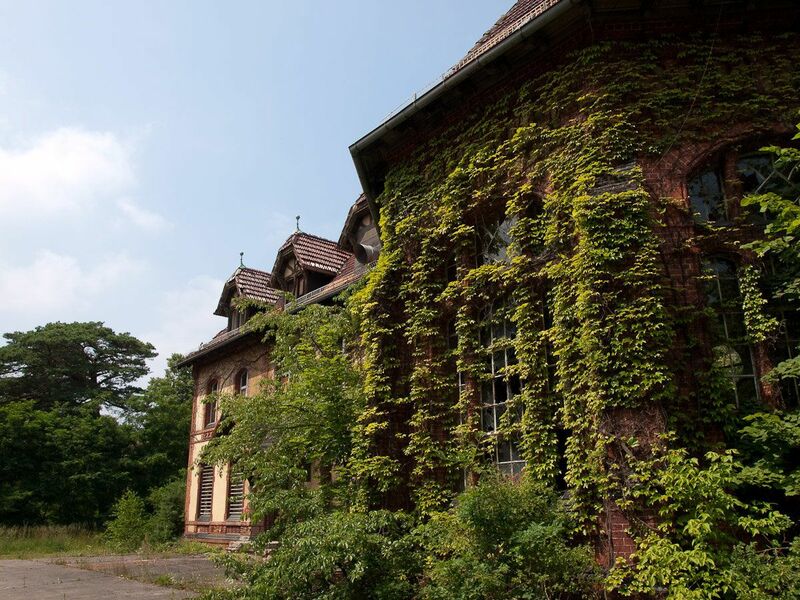 But it also dramatically altered the identity of the island paradise of Hawaii, changing everyday life for the people who lived there and bringing tourism, one of the islands’ most important industries, to a halt. 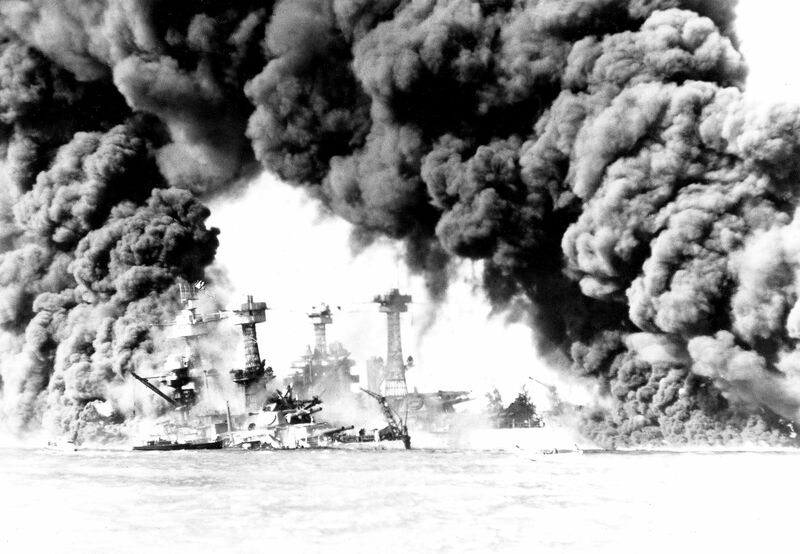 The West Virginia and Tennessee battleships are ablaze after the Pearl Harbor attack Dec. 7, 1941. Hours after the attack, Hawaii, a U.S. territory at the time, was placed under martial law, and all of the islands’ residents were under the dictatorship of the U.S. military, according to Honolulu Bishop Museum historian DeSoto Brown. Since Japanese-Americans made up 37 percent of Hawaii’s population, it was impossible for the military to incarcerate all of them, Brown told The Huffington Post. Instead, all residents of Hawaii — white, Native Hawaiian, Japanese, Filipino, Chinese — were forced to live under strict military rule. “Everybody was under martial law and treated equally unfairly because the military couldn’t target just the Japanese, who were so important to the economy,” Brown said. 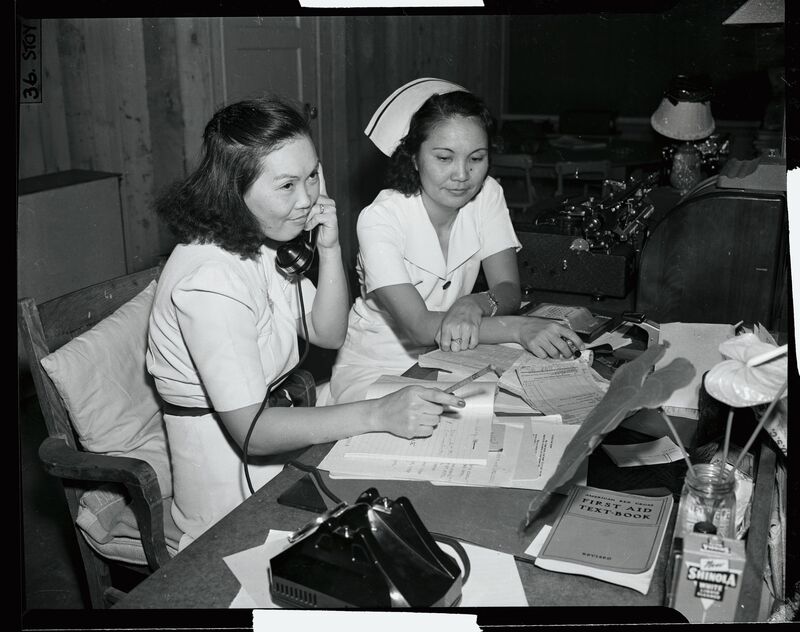 After all, Japanese-American residents had long-established themselves in Hawaii as business owners, teachers and community leaders. Without them, Brown added, Hawaii’s economy would have collapsed. Under martial law, life in Hawaii became dramatically restricted, according to Brown. 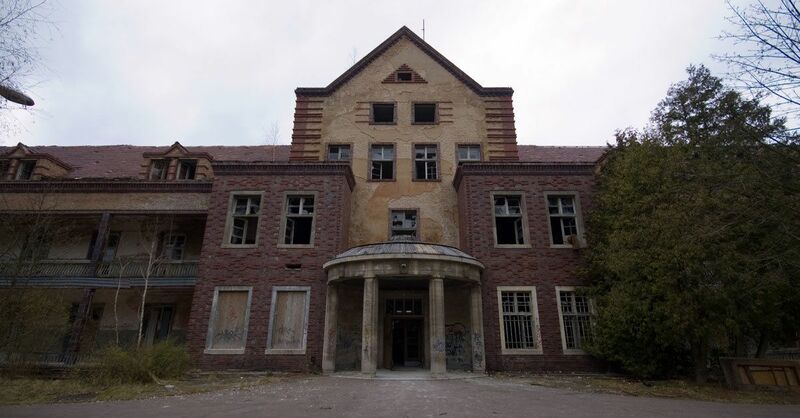 Immediately after the attack, civilians were mandated by the military to dig holes for makeshift bomb shelters and were ordered to place barbed wire around everything, including beaches, water pumping stations, electrical installations and government buildings. 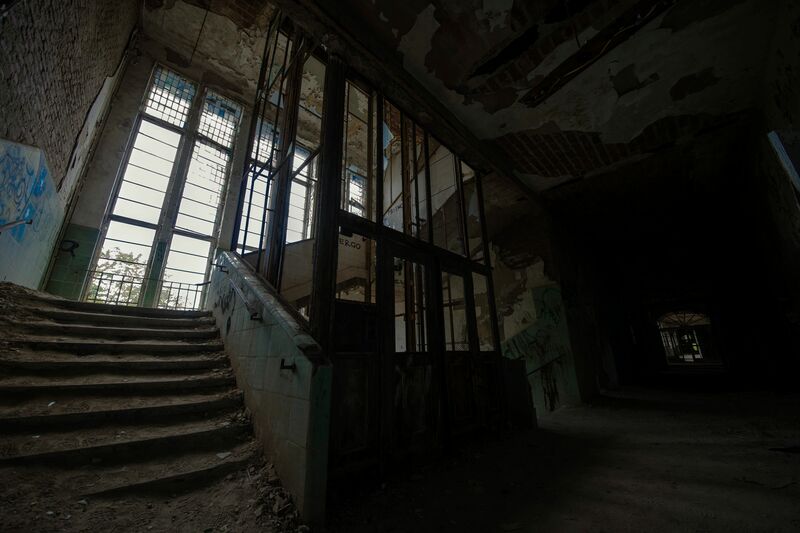 While they were free to live their normal lives during the day, Hawaii residents were forced to black out their windows, and a curfew banned civilians from being outside at night. 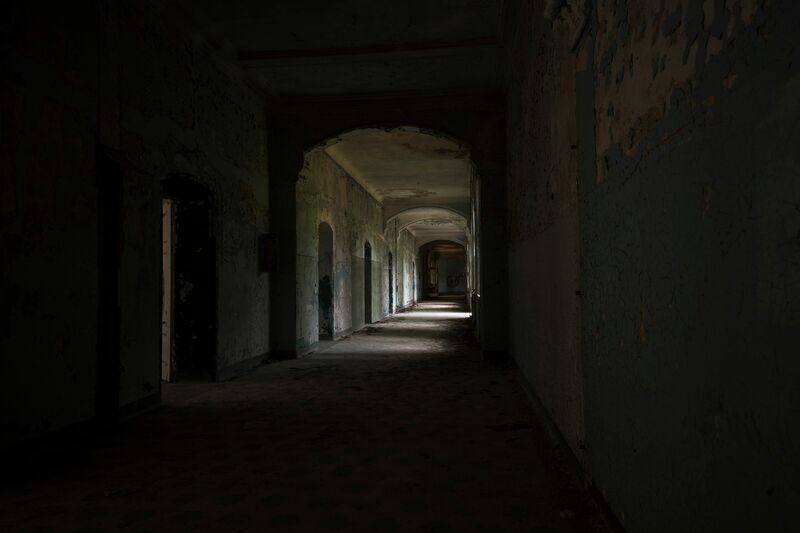 All electricity was required to be shut off after sundown, and the military enforced the curfew every night. Any unauthorized civilian out after hours faced the risk of being shot. If civilians were permitted to drive after-hours for official purposes, they were required to paint their cars’ headlights black. Food on the island was rationed to families. There was a ban on liquor, and bars were shuttered. 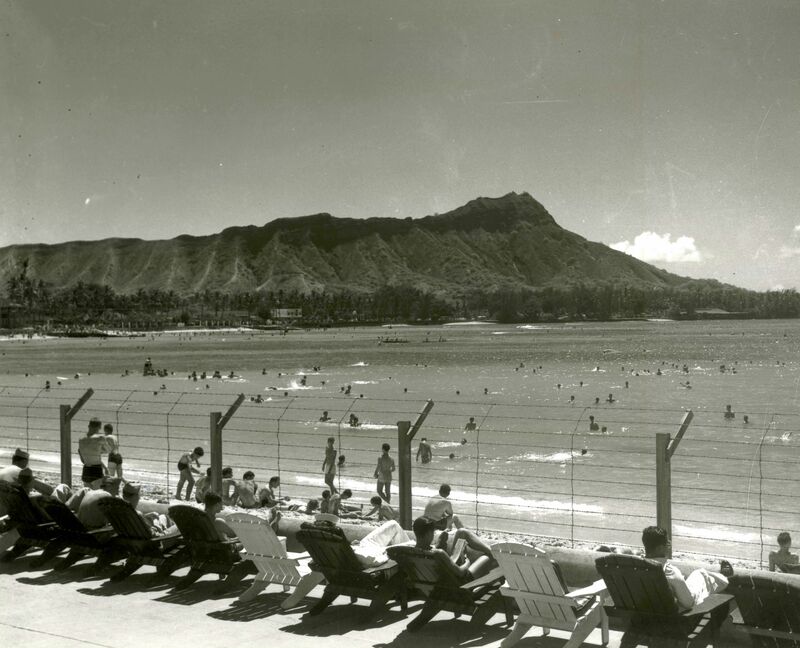 Waikiki’s iconic beachfront hotels, once thriving with tourists and affluent locals, were closed to the public and taken over by the military. 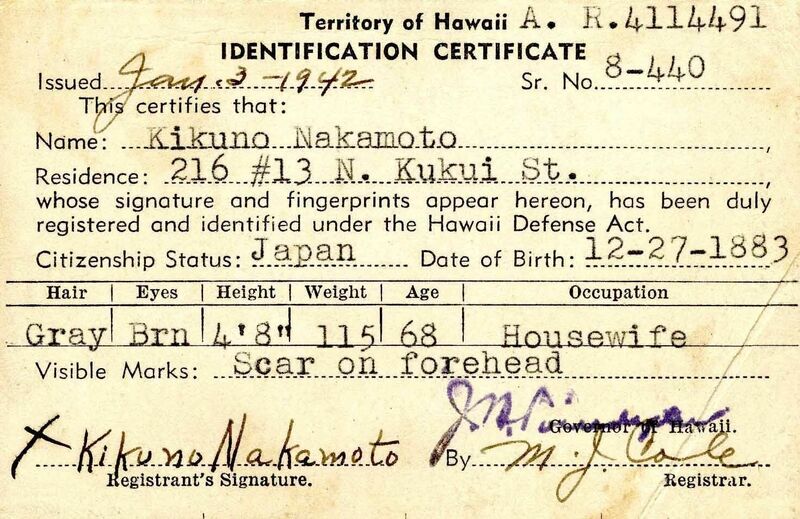 The military even banned Hawaii civilians from taking photographs of any of the islands’ coastlines (to prevent the Japanese from finding points of entries) and anything with war- or military-related imagery. As a result, officials reviewed and confiscated any photographs that contained barbed wire, beaches or military bases. The harsh military rule in Hawaii ended nearly three years after the Pearl Harbor attacks, but, according to Brown, the islands were forever changed. The poor treatment of the residents in Hawaii fueled the case for bringing the islands into statehood. And the military continued to maintain a stronghold in Hawaii, with every branch of the military stationed there today. As a historian specializing in World War II and the attacks on Pearl Harbor, Brown has collected many of the contraband images that were photographed in Hawaii despite martial law. Many of these images are on display at the Bishop Museum in Honolulu for the 75th anniversary of the devastating attacks. Below, see the forbidden photos and other World War II memorabilia that reveal what life in Hawaii was like for those who lived through that day “which will live in infamy,” Dec. 7, 1941. A curfew was imposed by the military government on all civilians in Hawaii, which lasted for nearly the entire war. 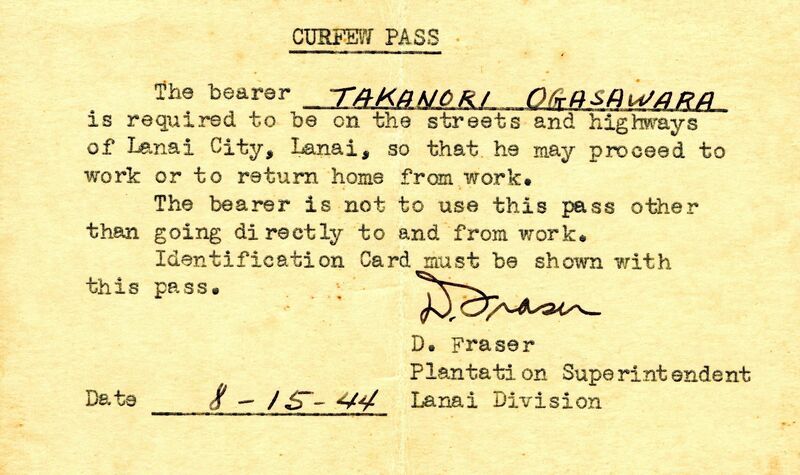 Without some sort of curfew pass like this one, citizens could be arrested after curfew. 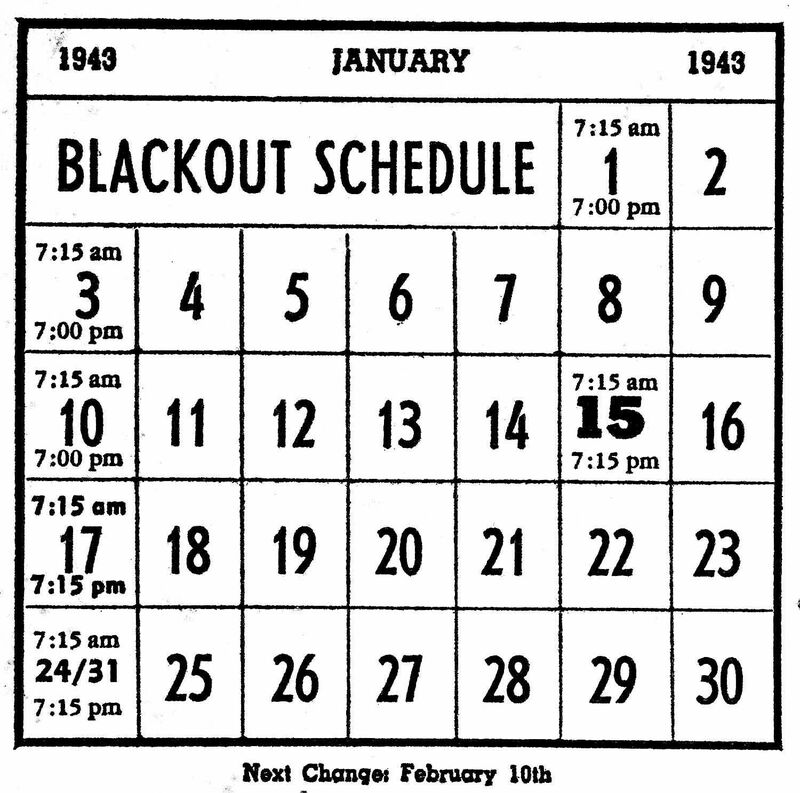 A printed schedule for Hawaii’s very strict nightly blackout, which began Dec. 7, 1941, and was gradually eased until it was eliminated in 1944. 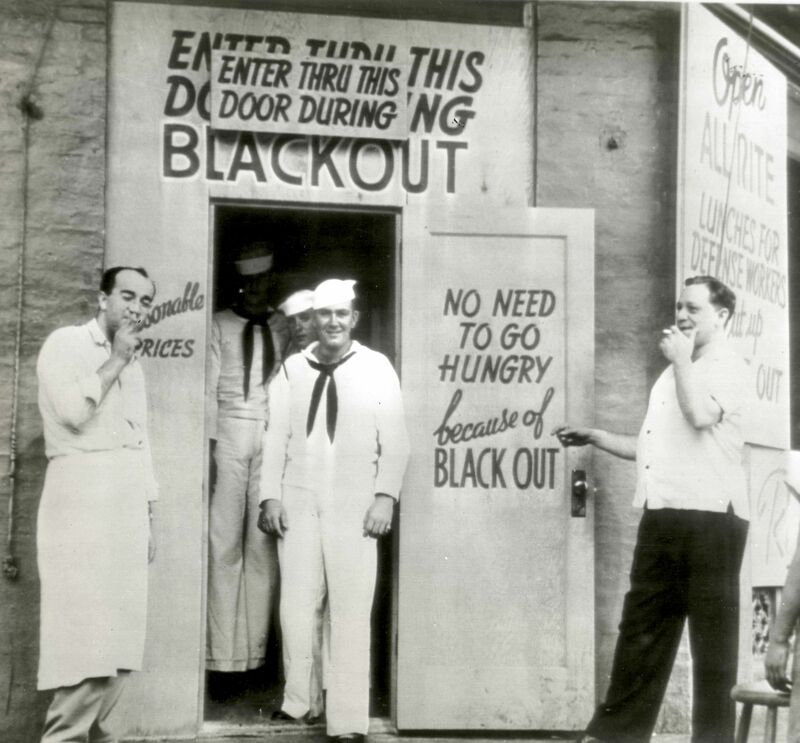 A blacked-out restaurant in downtown Honolulu, 1942. Pins like these showed a commitment to winning the war, but they also provided manufacturers some quick income. 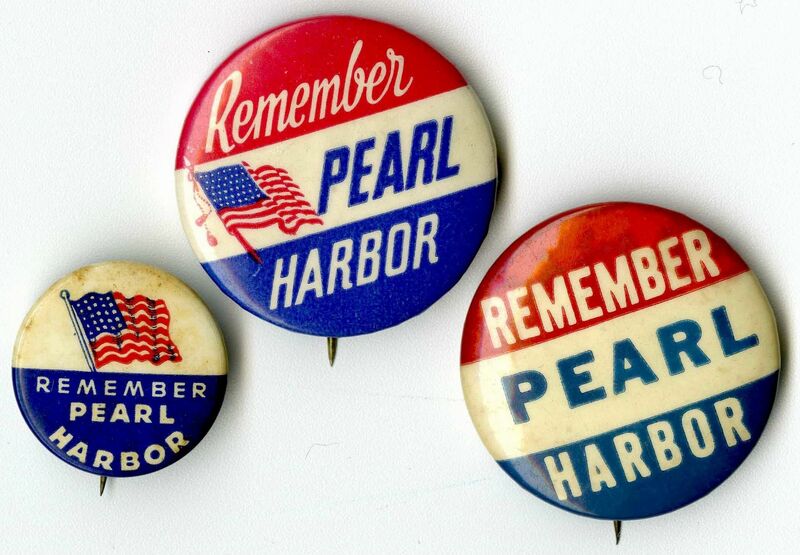 The patriotic slogan “Remember Pearl Harbor” was widely printed in the early war years. 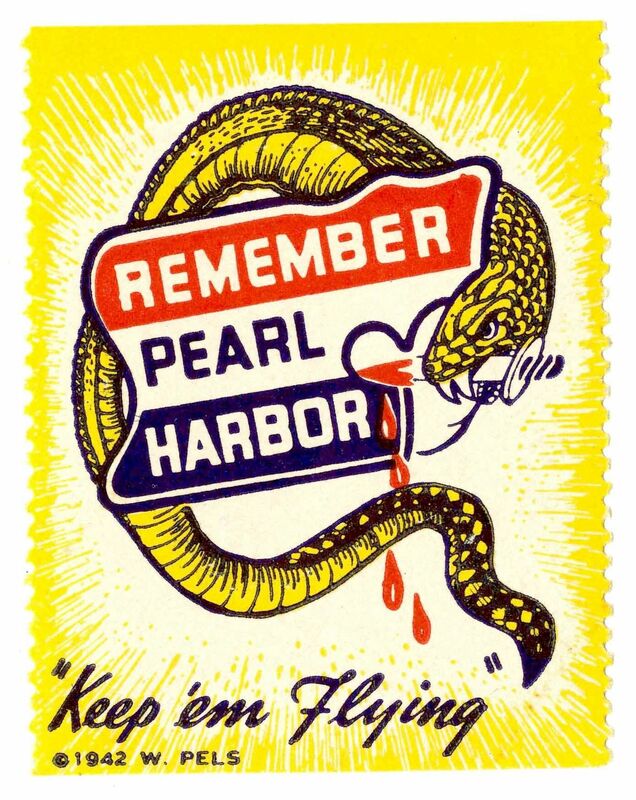 This sticker uses a snake to symbolize the treacherous sneak attack on Dec. 7, 1941. 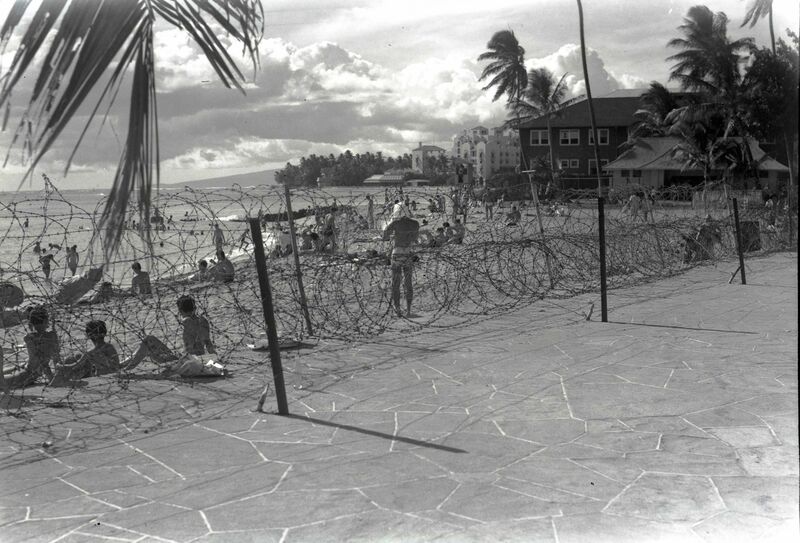 Barbed wire along the front of the Royal Hawaiian Hotel in Waikiki, taken over by the U.S. Navy and used throughout the war only for military personnel. 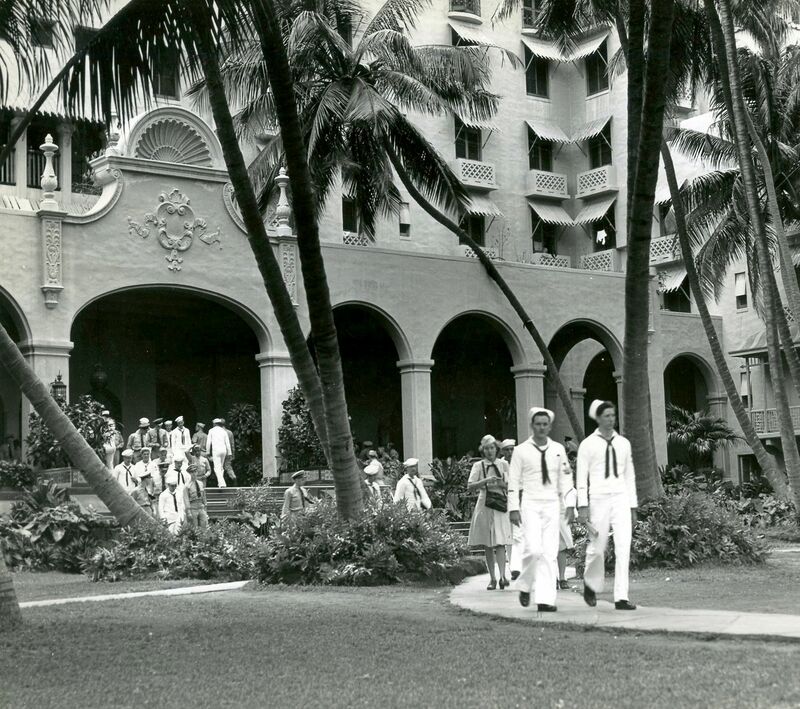 During World War II, Waikiki’s luxury Royal Hawaiian Hotel was seized by the Navy and was open only to military personnel, seen here in the hotel’s Coconut Grove. 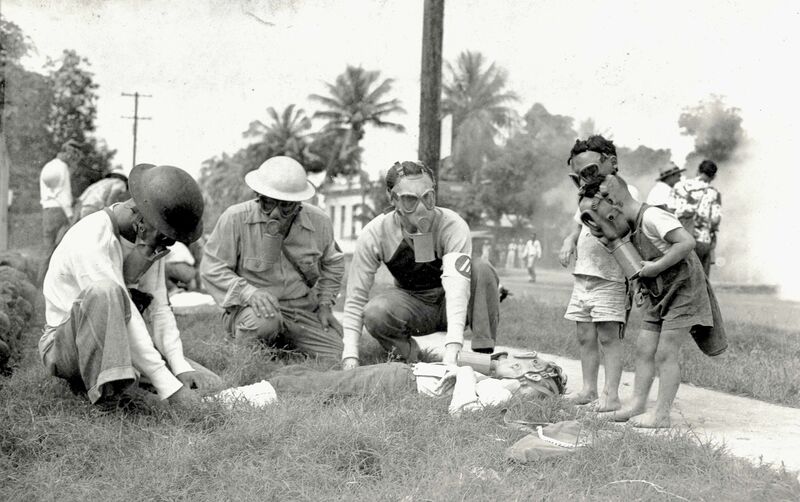 Gas masks were issued to all Hawaii civilians over the age of 7, and practices like this one were held to prepare for poison gas attacks or air raids. 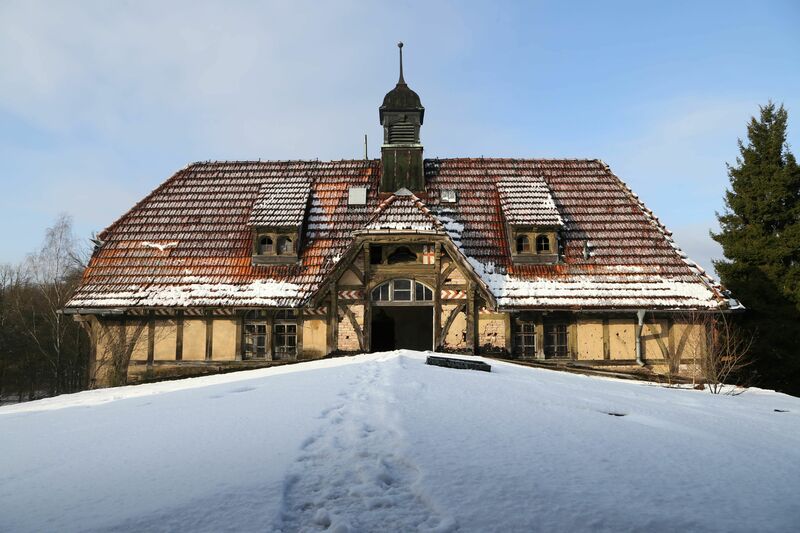 ALL EUROPEAN LIFE DIED IN AUSCHWITZ…. Medicine: 1908 – Elie Metchnikoff 1908 – Paul Erlich 1914 – Robert Barany 1922 – Otto Meyerhof 1930 – Karl Landsteiner 1931 – Otto Warburg 1936 – Otto Loewi 1944 – Joseph Erlanger 1944 – Herbert Spencer Gasser 1945 – Ernst Boris Chain 1946 – Hermann Joseph Muller 1950 – Tadeus Reichstein 1952 – Selman Abraham Waksman 1953 – Hans Krebs 1953 – Fritz Albert Lipmann 1958 – Joshua Lederberg 1959 – Arthur Kornberg 1964 – Konrad Bloch 1965 – Francois Jacob 1965 – Andre Lwoff 1967 – George Wald 1968 – Marshall W. Nirenberg 1969 – Salvador Luria 1970 – Julius Axelrod 1970 – Sir Bernard Katz 1972 – Gerald Maurice Edelman 1975 – Howard Martin Temin 1976 – Baruch S. Blumberg 1977 – Roselyn Sussman Yalow 1978 – Daniel Nathans 1980 – Baruj Benacerraf 1984 – Cesar Milstein 1985 – Michael Stuart Brown 1985 – Joseph L. Goldstein 1986 – Stanley Cohen [& Rita Levi-Montalcini] 1988 – Gertrude Elion 1989 – Harold Varmus 1991 – Erwin Neher 1991 – Bert Sakmann 1993 – Richard J. Roberts 1993 – Phillip Sharp 1994 – Alfred Gilman 1995 – Edward B. Lewis 1996- Lu RoseIacovino TOTAL: 129! The Jews are NOT promoting brain washing children in military training camps, teaching them how to blow themselves up and cause maximum deaths of Jews and other non-Muslims. The Jews don’t hijack planes, nor kill athletes at the Olympics, or blow themselves up in German restaurants. 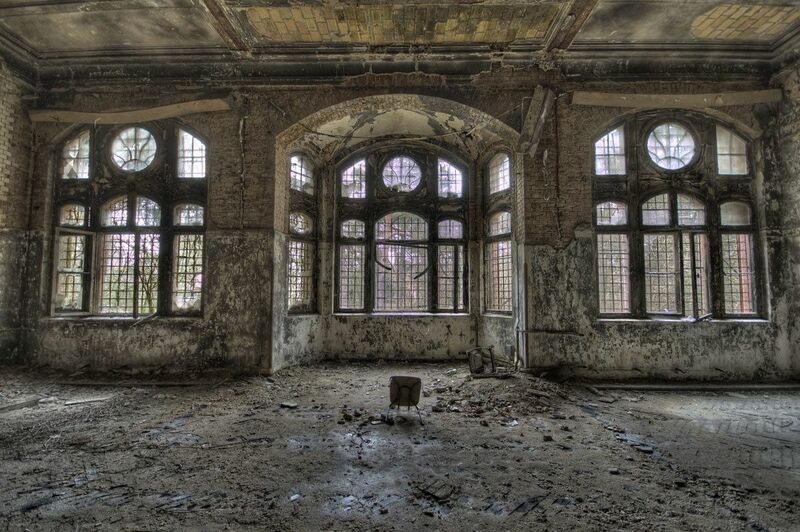 There is NOT one single Jew who has destroyed a church. There is NOT a single Jew who protests by killing people. It is now more than 60 years after the Second World War in Europe ended. This e-mail is being sent as a memorial chain, in memory of the, 6 million Jews, 20 million Russians, 10 million Christians, and 1,900 Catholic priests who were ‘murdered, raped, burned, starved, beaten, experimented on and humiliated’ while the German people looked the other way. A conversation 34 years ago convinced Morton Hurston Jr. there is buried treasure in Central Louisiana, and he thinks he’s found it. One thing stands in the way of him finding out for sure: government permission. Under the yellow clay soil of the Kisatchie National Forest, Hurston said he believes, is all manner of World War II equipment — tanks, half-track vehicles, trucks, jeeps and even P-40 fighter planes packed in their original shipping crates. Hurston, of Baton Rouge, calls this a virtual gold mine of a time capsule, a potential source of exhibits for museums and other military displays. The P-40s, packed in corrosion preventative, might be in mint condition. 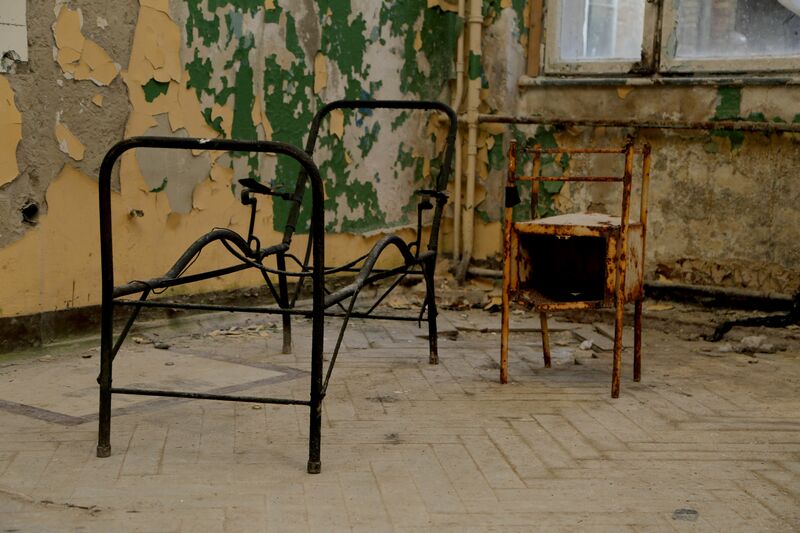 Hurston believes the equipment was buried in 1943 at Camp Claiborne, an Army facility north of Forest Hill in Rapides Parish used during World War II, mostly for basic training and artillery practice. Camp Claiborne closed in 1948 and, except for signs on La. 112, little of it remains today. In 1981, Hurston, an Army veteran of the Vietnam War and then an East Baton Rouge sheriff’s reserve deputy, met Jackie Peters, then a full-time deputy. Peters told him that his brother’s father-in-law, Sam Rathburn, of Baker, had described how he was a heavy equipment operator who helped dig three long trenches. A railroad spur was built, and the equipment was brought to the site, driven into the trenches, then covered with the soil, forming three berms. Neither Hurston nor Peters, who also has tried to investigate the site, has found any paperwork acknowledging the equipment burial. Peters said he thinks the equipment, which was no longer state-of-the-art, had been sold to China, but it couldn’t be delivered because Japanese forces had cut off land access to that country. 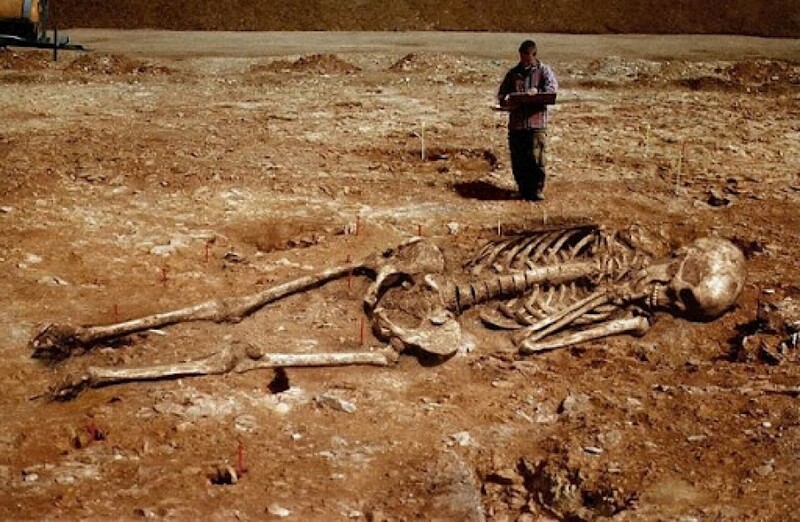 So, it was buried to prevent sabotage and, it seems, forgotten. But not by Peters or Hurston. When Peters was in the Navy Reserves in the 1980s, he knew men in an antisubmarine squadron who had an aerial magnetometer. He asked them if they could explore the area. Peters also enlisted the help of helicopter pilot Reggie Fontenot, who approached Forest Service officials in Louisiana roughly 10 years ago about conducting an exploratory dig. 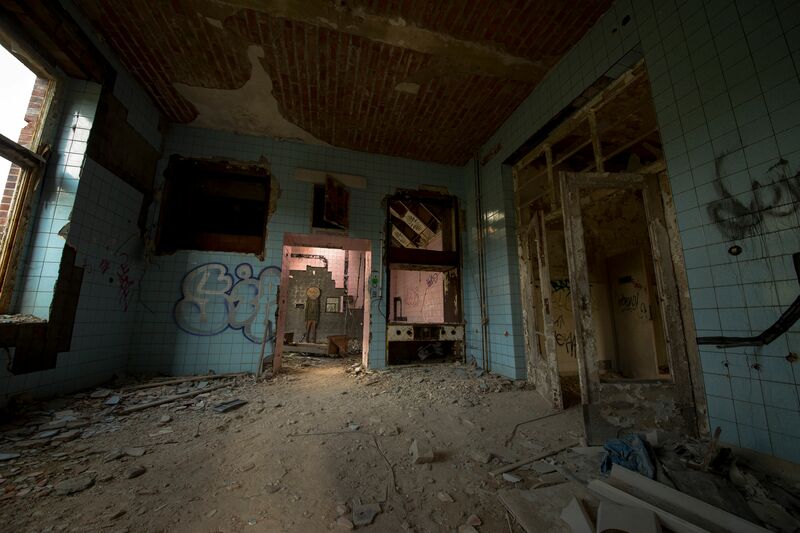 Unbeknownst to Peters, Hurston also has visited the site several times, and, in the past two years, he intensified his efforts. Remembering what Peters had told him about the site’s location, Hurston found three long, elevated areas on a topographical map and discovered berms, or small hills, overgrown with pine trees and bushes. In 2014, Hurston spoke to U.S. Forest Service archeologist Velicia Bergstrom, who said she had never heard of such a site. Hurston hired a Houston firm, Ground Penetrating Radar Systems, to see if the berms covered anything unusual. Because he had to clear brush for the electromagnetic imaging equipment to work, there was time to survey only 100 feet of one berm. The equipment detected five objects at least the size of an automobile, Hurston said. Surveys of the ground adjacent to the berm turned up nothing. So, Hurston said, something is definitely down there. Hurston wants to do a more detailed electromagnetic survey and, if that shows promise, do an exploratory dig to determine exactly what is buried. To break ground, he needs Forest Service permission. That’s where things have stalled. 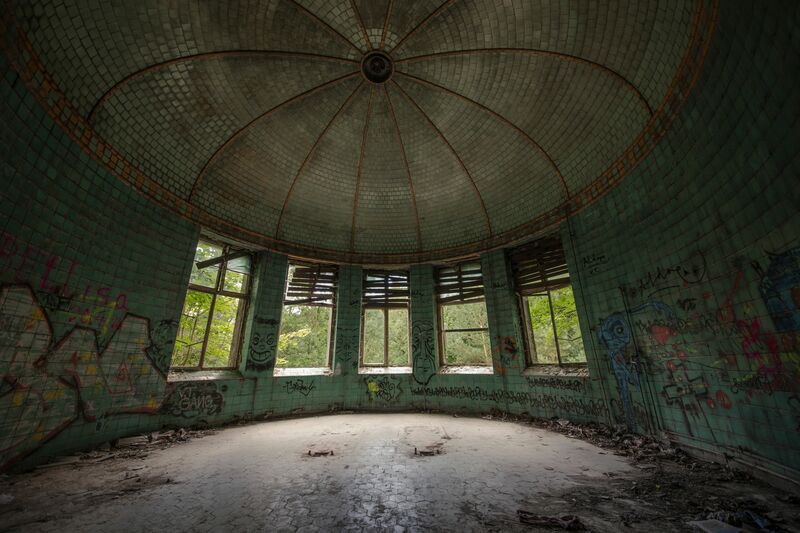 He has gone up the Forest Service hierarchy through to Michael Kaczor, federal preservation officer in Washington, D.C., who referred him to Jim Caldwell, public affairs officer for Kisatchie National Forest. They spoke last week, and Caldwell directed him to District Ranger Lisa Lewis. 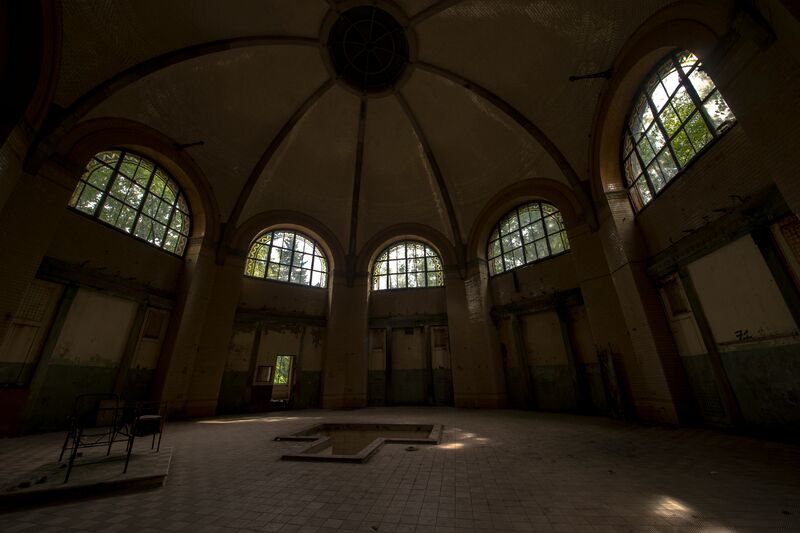 Nazis took to Pervitin: a pill-like crystal meth. At first it was an over-the-counter drug sold in European pharmacies guaranteeing alertness. According to Ohler, one pill was enough to keep the Nazis awake for hours—and allowed them to hike almost 36 miles in a day—making Nazis think of it like coffee. Once the effects wore off Nazis were became short-tempered and angry. A 2005 Der Spiegel report explained how Pervitin made its way into the hands of German soldiers citing a military doctor’s experiment of it on 90 college students where the doctor said the pill would “help win the war.” Not even six months later and millions of the drug were flown to the Nazis where they were handed out before invasions. Ohler said Pervitin was specifically used for Blitzkriegs like the invasion of Sudetenland, Poland, and France. Hitler, who famously used heroin, doping agents, and other hard drugs, according to his physician Dr. Theodor Morrell’s notes, may or may have not used Pervitin. If he did, it would’ve made for a dangerous combination since long-term meth use can have neurological effects causing aggressive behavior and psychosis, while long-term heroin use effects decision-making and causes irrational behavior when stressed. 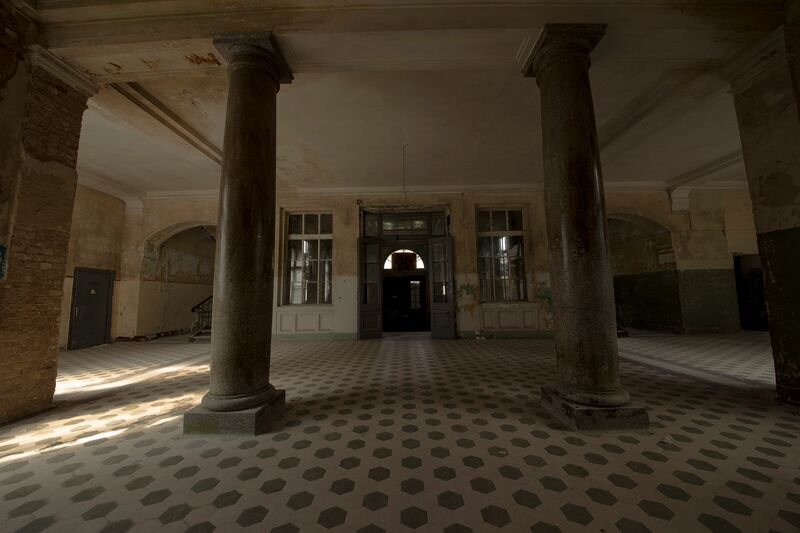 It’s hard not to wonder what the world might be like today if the Beelitz-Heilstätten hospital, whose ruins still stand in Berlin, were never there to nurse a wounded Hitler back to health. But in 1916, during World War I, it did just that. 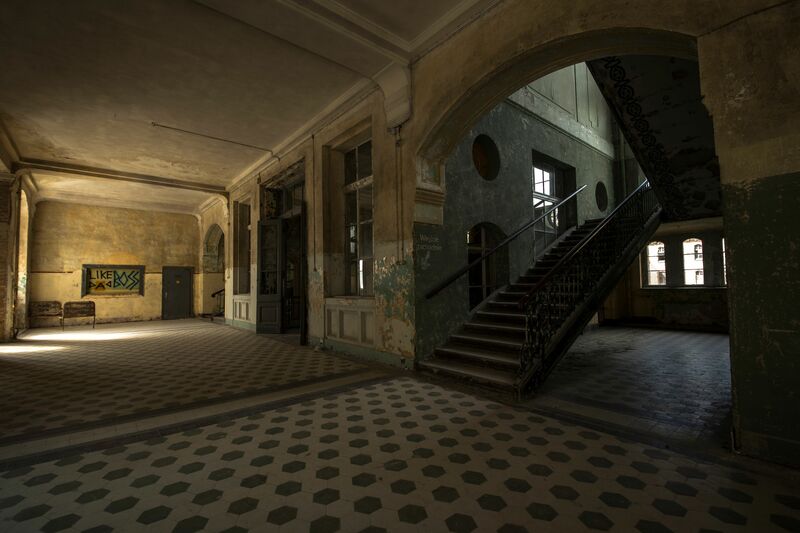 Not to mention, it also cared for many wounded Nazi soldiers during WWII — and then the Soviet military from 1945 until the Berlin wall fell in 1990. 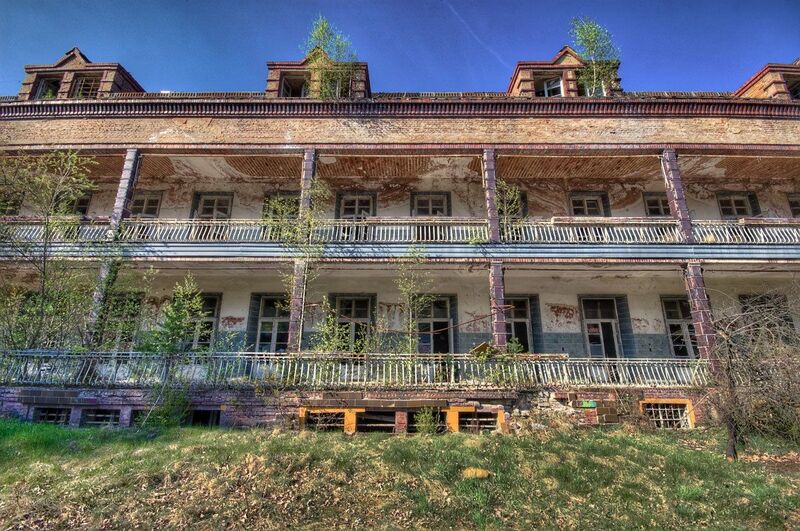 It was built in 1898 as a sanatorium to house people with tuberculosis, a fatal disease then, and a small section of the enormous complex is still used for neurological rehabilitation, according to Atlas Obscura. 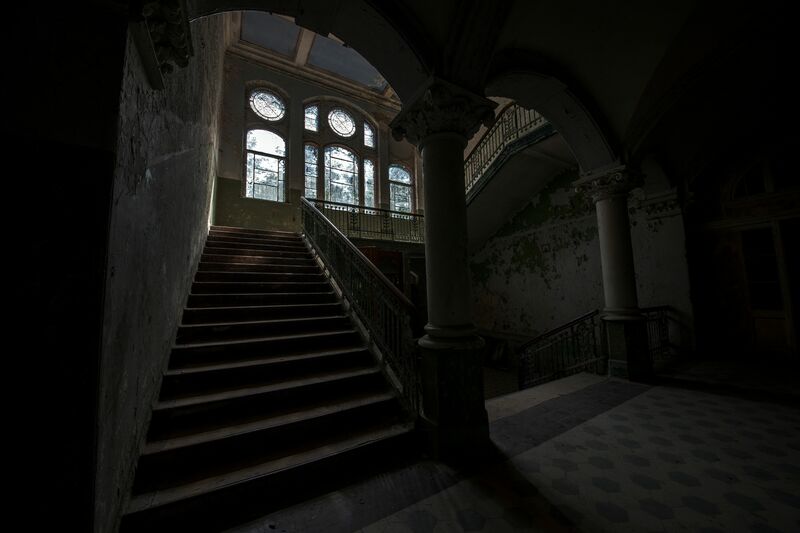 But the rest has been abandoned, save for the occasional tour; with its crumbling surgical and psychiatry wards, you can understand why Conde Nast Traveler considers it one of the most terrifying places on the planet. 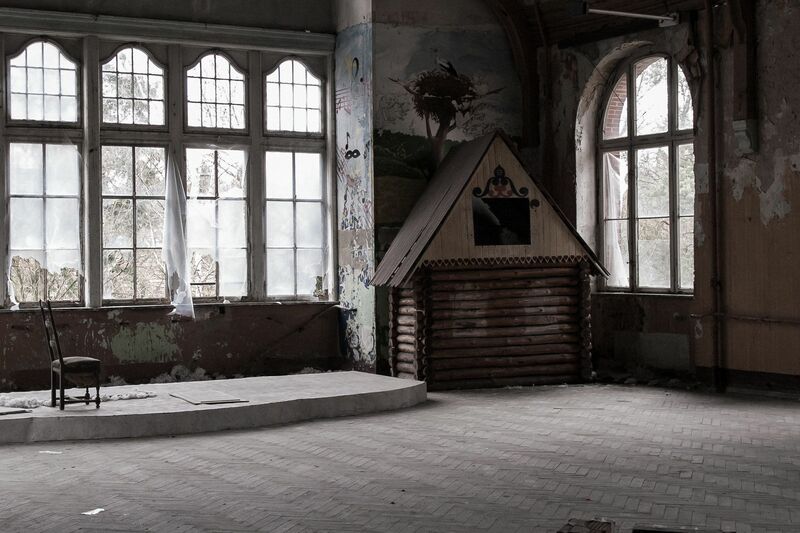 See why in the pictures below; you can almost feel the creepy vibes coming at you from your very screen.